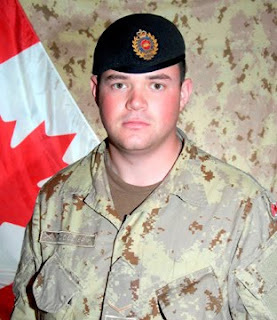 A Canadian soldier, Sapper Brian Collier, was killed by a bomb in Afghanistan today. Collier was killed while on a foot patrol in the village of Nakhonay, in the eastern part of Panjwaii District. He had dismounted from his vehicle near Nakhonay, about 15 kilometres west of the city of Kandahar, when he was killed by the improvised explosive device. Collier, 24, was born in Toronto and raised in Bradford, Ont. 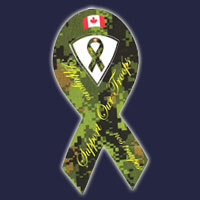 He was a member of the 1 Combat Engineer Regiment based at CFB Edmonton and was serving in Afghanistan with the 1st Battalion, Royal Canadian Regiment. Collier, who was on his first deployment to Afghanistan, was previously injured in a separate IED blast. "He fought hard to overcome his injury in order to get back to doing his job with his comrades," Brig.-Gen. Jon Vance, commander of Task Force Kandahar, said in a statement. "Always quick to smile, Brian had an easygoing nature and a great sense of humour. Brian was an enthusiast of fine automobiles, and loved to spend time with his Audi," Vance said. "Any Canadian who could have seen Brian in action would have been proud of him and proud of our country for the work being done with and for Afghans." 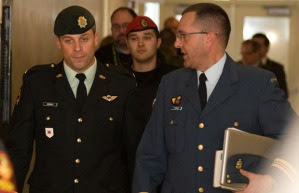 In another statement, Prime Minister Stephen Harper commended Collier's service, and extended condolences to the soldier's family and friends. "The bravery and remarkable commitment of Canadians like Sapper Collier are bringing safety and stability to the people of Afghanistan," Harper said. "Every day, their dedication and work protect our interests and values here at home and around the world. Sapper Collier's sacrifice will not be forgotten." Collier's is the first Canadian death in Afghanistan since June 26, when Master Cpl. Kristal Giesebrecht, 34, and Pte. Andrew Miller, 21, died after the vehicle they were in was struck by an IED. The latest death brings to 151 the total number of Canadian soldiers who have died as part of the Afghan mission since it began in 2002. Canada doesn’t send monsters into combat. Our soldiers are not bloodthirsty killers eager to “off” as many enemy as possible. They are as intelligent, thoroughly trained and compassionate as any soldiers in the world. We should be proud of men such as Capt. Robert Semrau — even if it is true, as prosecutors allege, that he killed a fatally wounded Taliban captive on the battlefield to put the man out of his misery. Were any of us in his boots? In October 2008, Capt. Semrau had just finished leading men — successfully — through a lengthy ambush in Helmand province, which was at the time the most violent province in Afghanistan. His unit consisted of a handful of Canadians and several Afghan National Army officers and soldiers. There was no chance of saving the man, even if a medevac flight could have been arranged to airlift him to a field hospital. In any case, with the ongoing battle, there was no chance a medic and helicopter could reach the site. A man in Capt. Semrau’s position, then, had two options: Leave the man behind in agony or put him out of his misery and move his men along to safety as quickly as possible. He was responsible for his men’s lives. He was anxious to get them out of harm’s way. Even if he shot the Taliban soldiers — which has not been proven in court — he didn’t snap and perform the action out of spite or revenge. Would it have been better if he had used the situation as a teaching moment for the benefit of the Afghan soldiers who accompanied him? Sure. According to reports, they were hitting and spitting on the wounded Taliban fighter. They should know not to abuse their prisoners, no matter how detestable their actions. But such lectures are not a realistic option in the heat of battle. Still, Capt. Semrau is on trial. A four-officer panel will now decide his guilt or innocence. If they find him guilty, he could face a life sentence for murder. Let’s just hope and pray his judges act honourably — as honourably as Semrau did, even if it is the case that the charges against him are proven in court.